Teachers at this Philly charter school got a raise and a contract. But unions at charters are unusual. Sarah Apt helped organize the union at Aspira Olney Charter School, starting in 2012. The union was formed in 2015. As other teachers left New Foundations Charter High School year after year, Zack Riegler stayed. One of two teachers who has worked at the Holmesburg school since it opened nine years ago, Riegler believed it was among the city’s best. But he was concerned that teachers kept leaving for better-paying schools — not just in the suburbs, but within Philadelphia. “Our feelings were, if we keep losing people every year, this is going to be a not very good place to work,” Riegler said. So he and the rest of the school’s roughly five dozen teachers and staff pursued an option not often seen at charter schools: joining a union. This month, the move paid off. Under their new contract, Riegler and his fellow teachers received an average salary increase of $5,700. The boost in pay pushed the typical salary at New Foundations above what most Philadelphia charter-school teachers earn. But it is still substantially less than the salaries of their counterparts at traditional public schools. Advocates have long portrayed charter schools, which are publicly funded but independently managed, as potential saviors of struggling public school systems. Teachers unions accuse charters of weakening those systems by siphoning students and dollars — and taking advantage of lower-paid staff. While charter proponents acknowledge the pay disparity, they argue that intractable teacher unions with hefty contracts helped create the opening for charters in the first place. “One of the main promises of charter schools is that they would have the ability to ... wipe the slate clean in terms of rules and regulations that make it so difficult for schools to perform at high levels," said Michael Petrilli, president of the pro-charter Thomas B. Fordham Institute. “A big part of that is teacher union contracts,” which can "make it difficult for schools to try new things” and remove ineffective teachers, Petrilli said. The contract at New Foundations may not be a harbinger of more organizing efforts here — or anything on the scope of this month’s historic strike by a network of charter school teachers in Chicago. While a third of Philadelphia public school students attend charters, only a few of the 87 schools are unionized. “If it doesn’t happen from the ground up, the chances of organizing a union are very, very difficult,” said Barbara Goodman, spokesperson for American Federation of Teachers Pennsylvania, which represents the teachers at New Foundations, West Oak Lane school and Aspira Olney Charter High School. Charter school teachers tend to be younger and less experienced. (In Philadelphia, the average charter schoolteacher has 6.6 years of experience, versus 14.1 for traditional public school teachers.) Many also work under one-year contracts. “It’s very risky to organize a union when you don’t have any job security," said Goodman. Union leaders contend that arrangement is by design. Advocates say charter schools have limited ability to pay teachers more. The funding issue is complicated: In Pennsylvania, a school district uses tax dollars to pay its charter schools based on per-pupil budget estimates. But charters don’t get money for costs they don’t incur, such as transportation, which in Pennsylvania is provided by school districts. At the same time, Pennsylvania charters also don’t get public money for some needs they do have, like facilities. Access to private fund-raising is another question, and adds to the strain with teachers unions. One common gripe, according to Weingarten: “All these rich folks investing in charters, while teachers are paying out of their own pocket for supplies." Yet unionization of charter schools remains uncommon. While the number of charter schools nationally with collective bargaining increased from 604 in 2010-11 to 781 in 2016-17, that total still only reflected about 11 percent of charter schools and was down slightly from the share six years earlier, according to the National Alliance for Public Charter Schools. Of Pennsylvania’s 180 charter schools, an even smaller share are unionized. The Pennsylvania State Education Association represents employees at seven schools, including four cyber charters, while the AFT PA represents three charters in Philadelphia and one in Pittsburgh that just voted to join Wednesday. The New Jersey Education Association represents 17 charter schools, covering 1,000 of the state’s nearly 5,000 charter-school employees, said spokesperson Meredith Barnes. She said “the majority of the organized unions came about" during the administration of former Gov. Chris Christie, who frequently warred with teachers unions. More charter schools aren’t unionized “because the management fights tooth and nail to stop it,” including by challenging efforts by charter employees to organize under public school laws, Weingarten said. The union previously represented employees at five additional Philadelphia charter schools, but all have closed or are on the verge of closing. Aspira Olney is pending nonrenewal. While some charter supporters see unions as incompatible with the schools, teachers like Apt say there’s no contradiction. “If you want innovation and fresh thinking, that’s best done in a team,” said Apt, who came to Aspira as a first-time teacher eight years ago when the district wasn’t hiring. 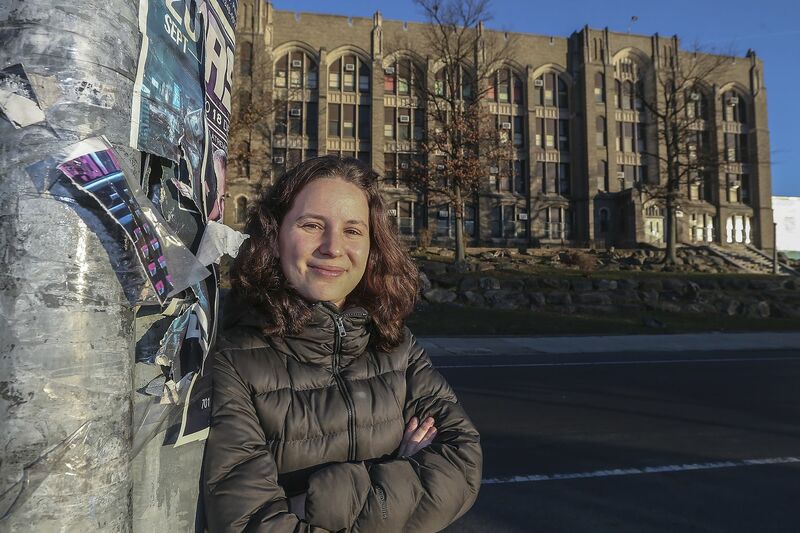 (“That was the option for teaching in the city, work at a charter school," she said, though she was drawn to Aspira’s history of bilingual education.) Having a union has built trust between teachers and led to more standardized salaries and “a fairer due process,” Apt said. At New Foundations, teacher retention “was always a concern that we had as a faculty,” said Riegler, a 32-year-old history teacher. The average teacher salary at New Foundations last year was $50,697, almost $4,000 less than the average Philadelphia charter schoolteacher and $20,000 below their school district counterparts. But management wasn’t particularly adversarial when teachers moved to unionize, Riegler said. While the school brought in a guest speaker on the pros and cons of unionizing — the presentation “seemed it was leaning more toward being anti-union,” Riegler said — it didn’t threaten consequences. In unionizing, teachers said they didn’t want to lose what set their school apart. Jim Schmidt, a precalculus, calculus and engineering teacher, previously worked in the school district, where math, he said, was “scripted." Because of students switching schools, “they wanted every school grade to be pretty much on the same place." At New Foundations, “you have a lot more freedom to teach. That’s one of the things that appealed to me,” said Schmidt, 49. But he said lack of job security and low pay had to be addressed. “Union or not, there was no way you could sustain anything,” he said.